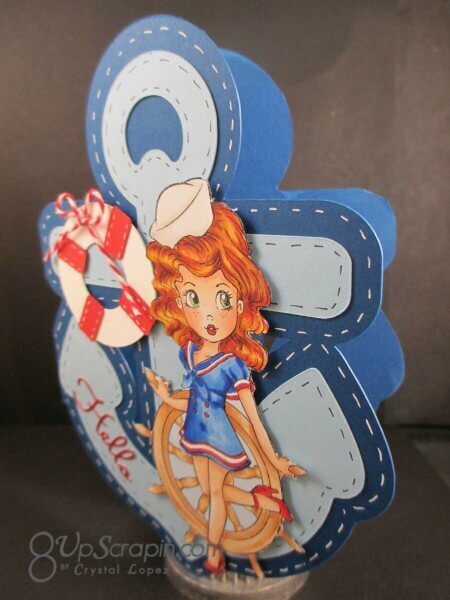 Today challenge is 1 button , 1 Bow and our sponsor is The Paper Shelter , my image is Pretty Little Sailor. I was so excited to use this image I love nautical things and this image is totally adorable . I made a shape card today of an anchor , the cut is from the Silhouette store , it is a pretty easy cut , I added faux stitch line in white and black gel pen. 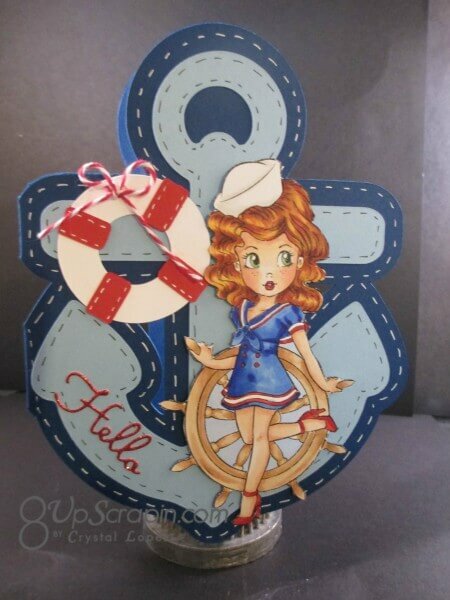 The star here is the image and that is what I was going for and the Anchor was so perfect for the card base I thought . My image is colored with copic markers . My button is a vintage mother of pearl one from my grandmas stash . the bow is bakers twine . This is my favorite card yet! I always look forward to seeing what you come up with! You’re so talented!